BHS could file for administration as soon as Monday, after the high-street department store failed to secure a financial rescue package. Talks regarding a £60m deal with investment firm Gordon Brothers have collapsed, meaning its entire 11,000 workforce is potentially at risk. The loss-making company, founded as a single shop in Brixton in 1928, was bought last year from high street mogul, Sir Philip Green, who also owns Topshop and Dorothy Perkins, for just £1. 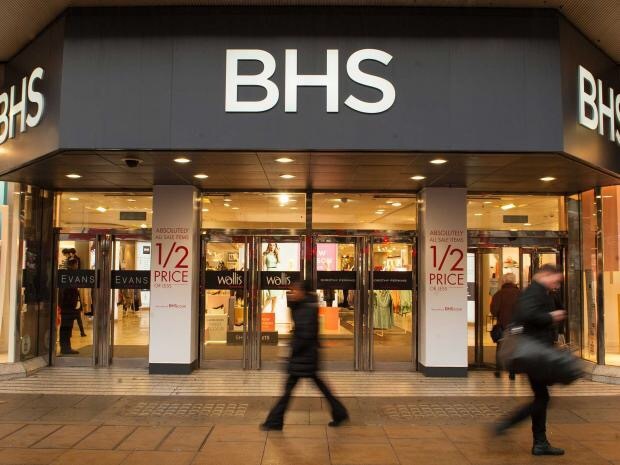 Sports Direct are considering the purchase of some of BHS’s 164 stores, but it is understood any buyer would only do so if it did not have to take on its £571m pension deficit – part of the retailer’s debts of more than £1.3bn. But a source told MailOnline that the “money has now dried up and the business will go under”. They continued: “The cash that the company was expecting to receive after the restructuring last month has not materialised. “The company has been trying to nail down a plan to keep the chain afloat for the past month after landlords and suppliers agreed to support the firm by scrapping existing contracts. BHS could not be reached for comment.